Hurray! 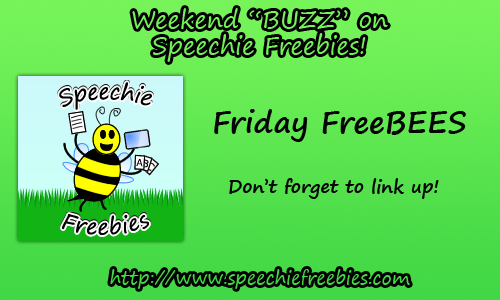 It is the third edition of Friday FreeBEES! We are posting quite a bit late today, but staying open late as well - we're leaving the link up open until 11:55 pm Saturday! 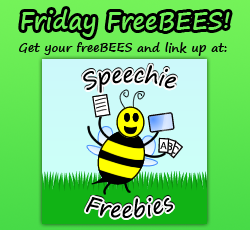 Remember, you can link up via your blog or Facebook post as long as it is speech and language related! If you end up downloading freebies from those who link up, we would all appreciate it if you would show them your gratitude by providing feedback or saying "thank you"! Don't forget to add the button below to your post and hyperlink it to this week's post!